Over the years The Gold Bullion Co. have brought some of the UK’s finest gold and silver bullion coins and bars to thousands of investors and collectors, many of whom have expressed an interest in getting to know more about the history of The Royal Mint. So without further ado, here is our complete guide to all you need to know about one of the UK’s oldest institutions - The Royal Mint. “Why is The Royal Mint called The Royal Mint?” – What’s in a name? The UK’s Royal Mint is in fact one of the world’s leading exporters of bullion products, producing items such as medals, coins and bars for up to 60 countries annually. But the main priority of The Royal Mint, however, is to mint the official sterling currency. The Royal Mint is one of the world’s largest exporters of blanks, coins and medals for many other countries round the world. In fact, many other countries’ mints, such as The South African Mint, The Canadian Mint and The Australian Mint were established during the British Empire and can trace their lineage back to The Royal Mint, after the UK withdrew from their countries. Many of these mints are still in operation today. When was The Royal Mint opened? Since it was founded over 1,100 years ago, The Royal Mint has survived countless wars, political upheaval and economic and social change as well as many scientific and technological developments. Since the year 650 AD, there have been recorded moneyers operating in London. Coins that were struck under Alfred the Great’s rule around 880 AD are the first time the word London appears on a British coin, in this instance as a monogram. Before The Royal Mint re-located to South Wales, its headquarters were built in the Tower of London buildings from 1279 to 1281. The tower became the home of The Royal Mint for 500 years. Later in 1279, the first master moneyer of The Royal Mint was appointed in the UK, William de Turnemire, who was charged with managing all other mints around the country, centralising them under the then London Mint. There were some ecclesiastical mints in operation alongside the London Mint at the Tower of London, but these were closed during Henry VIII’s reign as he broke with the Catholic Church. Thus, The Royal Mint was established in 1540 and soon became the only mint in operation throughout the UK. The coins struck at the London mint were made between the protected outer and inner walls of ‘Mint Street’, which still bears the same name today. As technology improved and the process of minting new coins became easier, The Royal Mint moved from the Tower of London to larger, purpose built buildings in Tower Hill in 1810. The Royal Mint had a temporary back-up operation in place during WWII, just in case the Tower Hill site took a direct hit during the London Blitz. This temporary, second mint was cleverly hidden inside a scenery store at London’s Pinewood Studios but luckily was never needed. Today’s headquarters of The Royal Mint is in Llantrisant, South Wales. It was officially opened back in 1968 by HRH the Queen Elizabeth II. Over 900 people are employed by The Royal Mint, including the highly trained security guards. The relocation to Wales came in preparation for when the UK currency changed over to decimalisation in 1968. This was a mammoth task because every member of the public and businesses operating needed to have access to the necessary information before the change, to make it as easy as possible and of course, the new coins had to be struck before they were circulated for use. This huge undertaking meant that The Royal Mint had to relocate from its previous location at Tower Hill to its new home in South Wales, where it still is today. When did The Royal Mint start producing decimalisation coins? The new decimalisation coins were struck by The Royal Mint in 1968. In order to be ready for the change from the old currency of pounds, shillings and pence, nearly six billion coins were produced. These new silver and copper coins were updated with new designs which represented British heritage and had Queen Elizabeth II on the obverse or front side. There were publicity campaigns that ran during this time as well as the old currency still being circulated until it was gradually phased out, to help people adjust to the new currency. So when what was officially called Decimal Day, or D Day finally came, the British public were fully prepared to accept the new decimal coin system and the new coins which are still used today, took their place in our numismatic history. The first of the new coins to be struck were the 5p and the 10p which were circulated in April 1968. These were then later joined by the new 50p coin, which became the first seven-sided coin the world had ever seen and replaced the 10-shilling note. Since ‘D Day’, the system has been reviewed, with the 6d being withdrawn from circulation in 1980 and the 1/2p vanishing in 1984. The 20p coin was only introduced in 1982 and it was soon followed by the first ever £1 coin in 1983. In 1990 and 1992, the new 10p and 5p coins were re-sized which signalled the end of the shilling and florin and the 50p later received the same treatment in 1997 when a smaller coin was released. So for the first time in the UK’s history, since 1992 every coin that has been struck by The Royal Mint has featured the reigning monarch’s head, which hasn’t happened since as far back as the medieval times. In 2008, The Royal Mint decided to give the decimalised coins a fresh look for the 21st Century and they held a competition which was opened up to members of the public, as well as specially selected artists and coin designers. The Royal Mint asked the entrants to submit new designs for the six coins that could either be part of a set or could stand alone in their own right. The only requirements were that they had to represent the UK and maybe even include British heraldry, as a traditional touch. People from all over Great Britain submitted designs and in total, The Royal Mint has reported that they received well over 4,000 drawings and digital designs from over 500 people – the largest response received. It took over a year to choose the winner, who was later announced as Matthew Dent, who saw the competition advertised in a newspaper. He submitted his contemporary design of British heraldry, which included all six coins to make up a shield when they were displayed horizontally and vertically, which represented the four nations that make up the UK, under the monarch Queen Elizabeth II. It was later decided that the £1 coin should also be included in the new design, which features the shield intact on the reverse. Who owns The Royal Mint? The UK royal mint is actually owned by the British government and The Royal Mint is responsible for delivering a financial return in accordance with set guidelines and targets. Currently, The Royal Mint’s chief executive is Anne Jessopp, who originally joined as HR Director back in 2008. Since then, she has lead the development of The Royal Mint’s core business services until becoming the Consumer Director in 2015 and she was also part of the team behind the launching of The Royal Mint’s top visitor attraction, The Royal Mint Experience back in 2016, which welcomed more than 100,000 visitors during the first year of opening. Who guards The Royal Mint? For those who might be curious, The Royal Mint is guarded by a team of highly-trained security guards who man the entire 35-acre site and they work around the clock every week of the year, to ensure the safety of the employees and of course the coins and precious metals on site. What does The Royal Mint make and do? The Royal Mint’s main responsibility is to ensure that the banks in the UK are always fully stocked with coins and the mint can produce around five billion coins for the banking industry every year, which equates to 90 million blanks and coins being produced every week. For our customers, it’s the gold and silver bullion coins and bars that hold the most interest. From Sovereigns to Britannias and special collections such as The Queen’s Beast coins, the mint produces a stunning range of investment-grade items, which are beautifully designed and are highly valued throughout the world in the investment and coin collection market. All of the Olympic and Paralympic medals for London 2012 were struck at The Royal Mint and a new press called ‘Colossus’ was used to make the 4,700 medals which became the heaviest and largest Summer Olympic Games medals ever produced. Does The Royal Mint make gold and silver bullion coins? 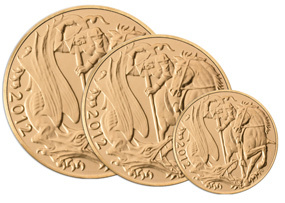 The Royal Mint has struck gold and silver bullion coins and bars for investment purposes and has released several unique gold bullion and silver bullion coin collections, including the popular The Queen’s Beasts coin collection. The Royal Mint sells their coins to investors and collectors keen to build up their stock of gold or complete a collection. Some of the most famous gold bullion coins minted by The Royal Mint are the Gold Sovereign gold coin, the Britannia gold coin. “When does the Royal Mint visitor centre open?” – And more importantly, when you can go! When can you visit The Royal Mint? You can in fact visit The Royal Mint museum and take a guided tour on The Royal Mint Experience, based in Wales. The Royal Mint Experience and The Royal Mint museum offer an incredible chance for people to learn new things about the history of one of the UK’s oldest institutions. There is a vast collection of British coins stretching far back in the country’s history which have a great cultural heritage importance. You can learn about the minting process, look at manufacturing equipment, artwork, designs and much more besides. Not only that, but The Royal Mint also provides free classroom learning materials for teachers called ‘Coins in the Classroom’, which is aimed at children in Key Stages 2 and 3 to understand more about the fascinating world of coins through creative activities in line with the national curriculum. The Royal Mint Experience is open to all members of the public and by appointment for those wishing to access information in the library and archive for research purposes. To find out what time The Royal Mint museum opens and closes, view the museum and The Royal Mint Experience opening hours below. The Royal Mint museum is open 7 days a week throughout the year and The Royal Mint Experience tour takes two hours. It’s advisable to check The Royal Mint experience’s website to see if there are any seasonal changes to their opening hours. The café is open from 9:30am to 5:00pm. The directions to The Royal Mint museum are located on their website. Do you find yourself drawn to the history and heritage of The Royal Mint? 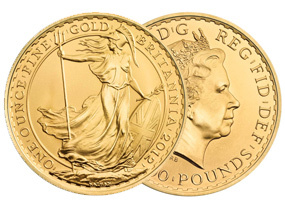 Why not own a piece of history yourself and invest in British gold bullion coins today?